Golden Lyk® was originally established in 2001 by DENCO, which was an ethanol manufacturer in Morris, MN. Ridley Block Operations acquired the block supplement manufacturing equipment and all intellectual property associated with manufacturing the Golden Lyk® line of supplements in the fall of 2009. 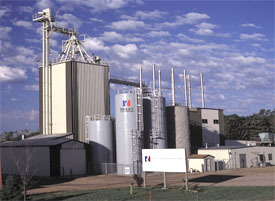 The equipment was relocated to Worthington, MN, where it was installed and used to expand the supplement product lines offered by Ridley Block Operations. 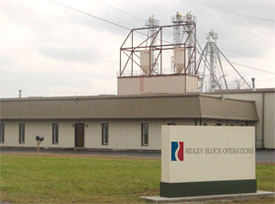 Golden Lyk® compressed block supplements are also manufactured at Ridley Block Operation's Flemingsburg, KY, facility. Golden Lyk® is a "compressed" block livestock supplement that uses a significant amount of corn processing co-products, including: dried distillers grains with solubles (DDGS), corn gluten meal and corn steep liquor. These ingredients make up an important part of Golden Lyk® formulations, and allow for a highly palatable supplement with the right nutrient profile that can be offered free-choice to a wide variety of livestock, wildlife and companion animals in their unrestricted grazing environments. Golden Lyk® supplements deliver protein, energy, vitamins and minerals that can be deficient in animal diets for a variety of reasons when grazing pastures or fed stored forages. Critical nutrients that are inherent to corn co-products provide an economical solution for meeting livestock nutritional requirements, combined with an economical delivery of a free-choice compressed block that can last for an extended period of time. Golden Lyk® blocks are available in either a durable polyethylene tub or can also be purchased in a refill option, without a container.